What happens when Trusted Voice is off. 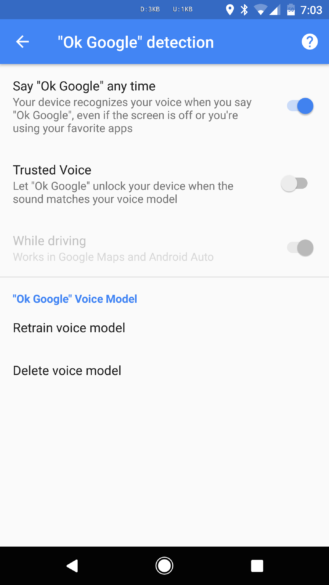 Specifically, Artem was complaining about Trusted Voice automatically, and seemingly randomly, turning itself off. 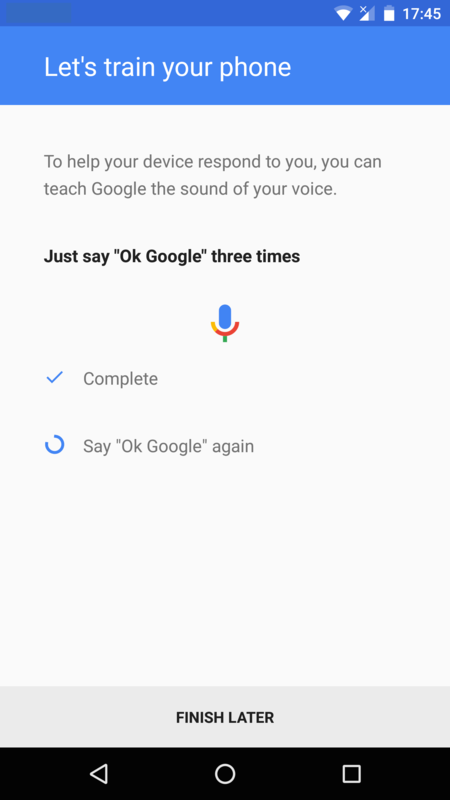 This is annoying because it means when asking Google Assistant, or Voice Search on non-Pixel phones, the phone has to be manually unlocked before it answers. Left: as you can see, Trusted Voice is off. Right: the Trusted Voice setup phase. This may be a bug limited to the Google app v6.10 beta, but I've found it happens with versions prior to that on my Nexus 6P. I'll set Trusted Voice up, and it'll work as intended for a little while - say a month - but then one day I'll ask it to play some music or set a timer and it'll say 'I can't do that as your phone needs to be unlocked' or something similar. Rinse and repeat. 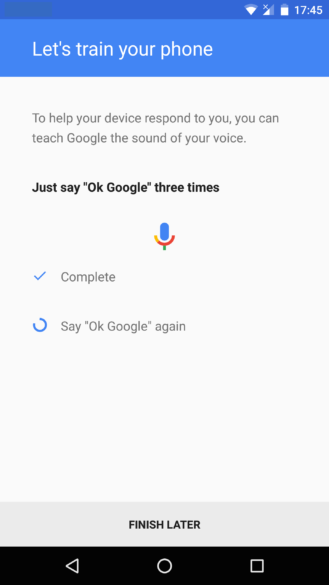 If Google wants to be the leader in the voice assistant market, it's crucial Assistant works as intended. 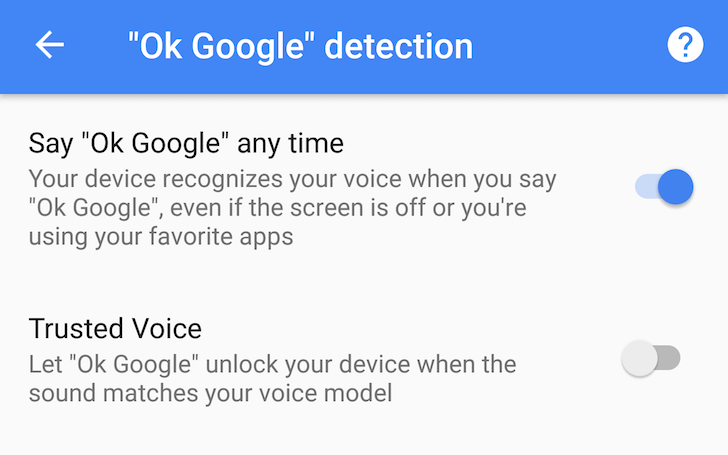 This means improving the reliability of the OK Google command and ensuring it works 100% of the time. We'd be interested to hear your comments on this, and see if it's related to specific phones or versions of the Google app. Let us know in the comments!